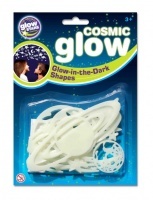 The Original Glowstars Company high-quality, plastic, glow-in-the-dark Galaxy shapes. Create a magical view of outer space on ceilings and walls and at night-time, when the lights go out, they produce a fantastic glowing display. This handy torch is also a photo projector. Has 24 colour NASA and Hubble Telescope photographs, on three changeable slide disks. 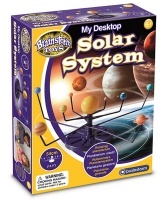 Bring the wonder of the Solar System into your own room. 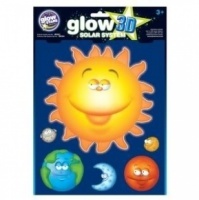 New, daylight-visible Glow 3D Funny Solar System makes a great, educational yet whimsical addition to the Glow 3D range. Each self-adhesive planet is scaled to be representative of their size in the Solar System and the Solar System Chart allows you to position them correctly on walls and ceilings. The Northern and Southern Lights, or aurora borealis or aurora australis, are a seemingly miraculous natural phenomena of coloured lights that many people would love to witness in their lifetime. Bring the moon into your own room. The authentic moonscape shines moonlight just like the real moon. The remote controlled moon automatically scrolls through twelve illuminated lunar phases.